Place a mesh sieve or colander over a bowl and drain the tomatoes. Reserve 1/4 cup of the juices and discard the remaining juice (or save the remaining juice and freeze it to use in a soup or stock). Combine the drained tomatoes and reserved 1/4 cup of juice with the diced green chile peppers, green onion, and the parsley or cilantro. Add the lime juice or lemon juice, the freshly ground pepper, garlic, and salt. Cover and chill the salsa for at least 4 hours. 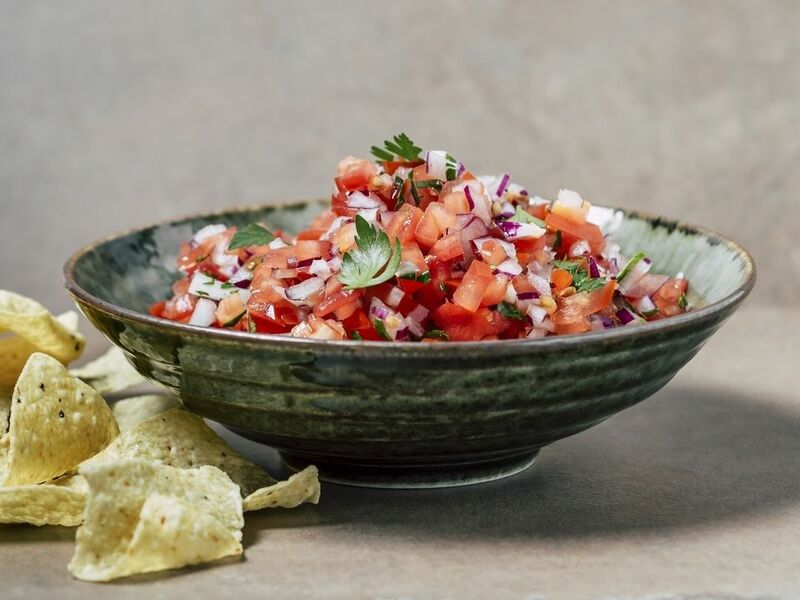 Store salsa in a tightly covered container in the refrigerator for up to 5 days. Serve with tortilla chips or along with burritos or tacos. See the tips and variations for more serving suggestions. To remove the raw, harsh taste, saute the garlic in a few teaspoons of vegetable oil just until softened. Add 1 to 2 tablespoons of minced jalapeno chile pepper to the salsa for extra heat. Replace the green onions with finely chopped red onion. Toss cooked corn, summer squash or zucchini, or green beans with some prepared salsa. Top baked potatoes with a few tablespoons of salsa. Garnish plain broiled or baked chicken or fish with salsa. Top burgers with salsa along with other toppings.